This album at hand by prolific legend Martin Denny is the one which gave a name to an entire genre. 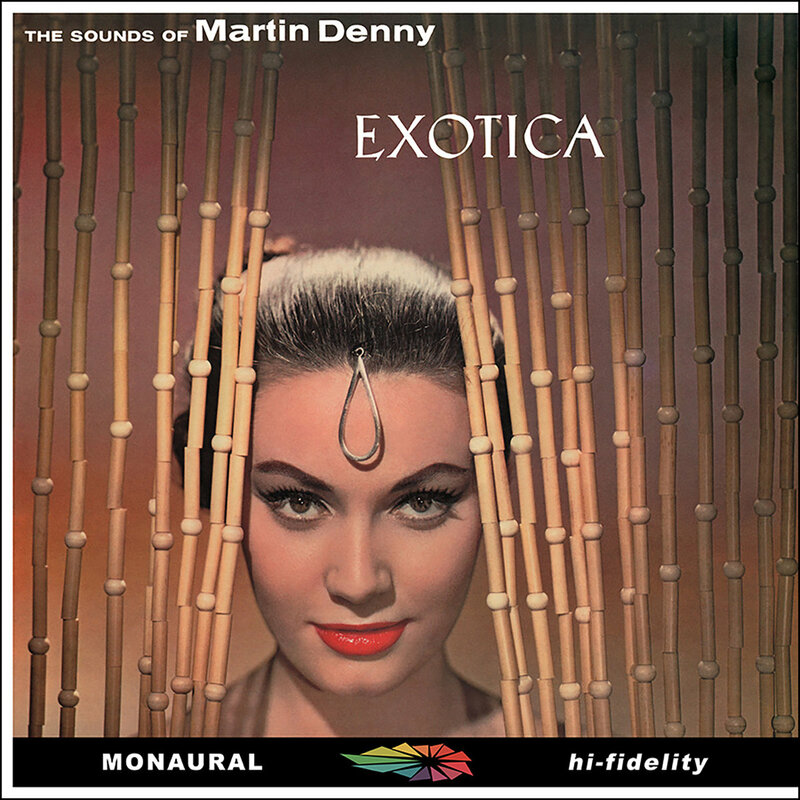 Released for the first time in 1956, “Exotica” does have more than just a historical importance. The songs are all outstanding. Based on jazz and folk this is an early example of mind altering music, because the album sets you in a dreamy state with all its haunting melodies and the sound effects that remind of wild animals in the jungle trees. The rhythmical base is rooted in Latin music, from mambo via samba to bossa nova you find all the Latin American forms of dance music combined with the bebop elements. Asian percussion instruments and harmonies also find their way onto this album. There are colorful tunes that make you think of Japanese folk but when you listen closely you will recognize melodies that would fit well with US western movie soundtracks. The easy listening sound of the ’50s comes as the last ingredient and the icing on the cake. Right at the same time when this album came to see the light of day another movement named “space age” happened with an equally dreamy style but more science fiction oriented. 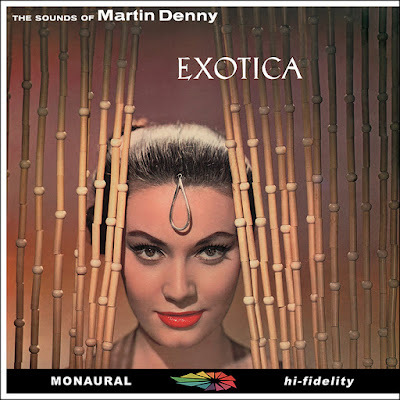 A few of these pulsating electronic influences did pass by composer and conductor Martin Denny while creating this masterpiece and so you might feel like flying away from time to time, but the journey always ends on a beautiful island in the South Pacific ocean where pretty girls and boys dance to hot blooded savage rhythms. And this savage soul burns deep within the music to be found upon “Exotica”. When you desire to rest your mind beneath palm trees and have a sip of your favorite tiki-cocktail, this is the ticket to your plane.